Residents of Houston are still recovering from the devastation of Hurricane Harvey. Edison International and its employees continue to raise funds for those affected by the hurricanes. UPDATED, Sept. 28: The Edison International’s Relief Fund has been extended to included the victims of Hurricanes Harvey, Irma and Maria. To date, the fund is at $162,228 and funds will continue to be collected until Oct. 6. When news reports about Hurricane Irma’s devastation in Florida began dominating the news a week ago, Kevin Krylo, 52, and his wife, Dianne, had just left their home in Buena Park to start their day and a half drive to Houston to help the victims of Hurricane Harvey. 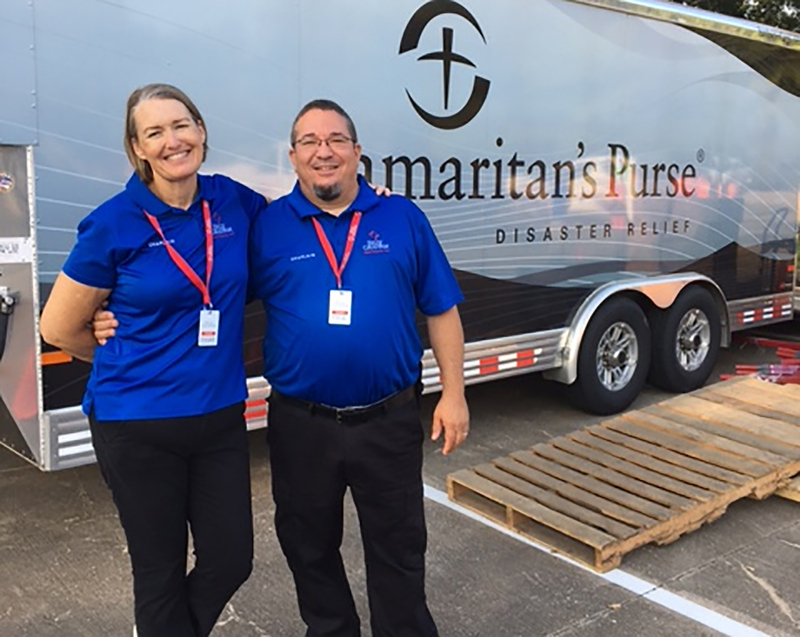 Kevin, a Southern California Edison employee for the past 33 years, and his wife are volunteer chaplains for the Billy Graham Rapid Response Team and are trained in disaster response and to counsel those affected by crises like Harvey and Irma. Although the waters receded about a week ago, the cleanup in Houston is still ongoing with many uninhabitable homes and businesses dealing with harmful black mold. SCE employee Kevin Krylo and his wife, Dianne, volunteer in Houston to help those affected by Hurricane Harvey. 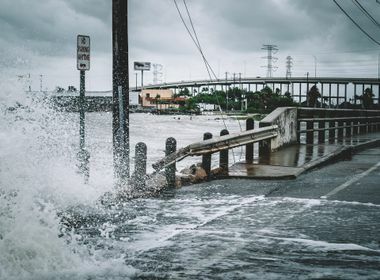 These same challenges for Houston residents are also being faced by those in Florida and other states such as Georgia, North Carolina and South Carolina. Edison International has now expanded its relief fund to help the victims of both Hurricane Harvey and Hurricane Irma. 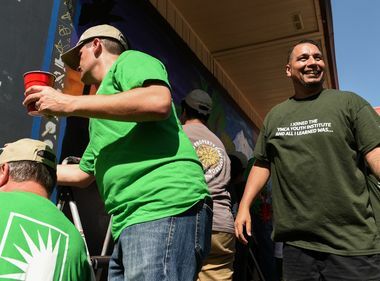 With funds raised by its employees and company matches, the Edison International’s Relief Fund has so far raised more than $132,000. 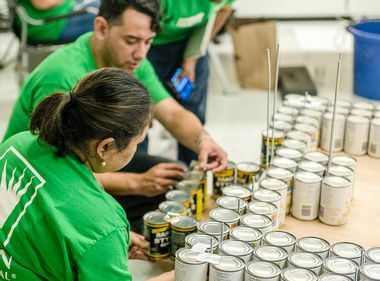 In addition to raising funds, Southern California Edison is providing needed resources as a member of the Western Region Mutual Assistance Group to affected utility Florida Power & Light. So far, SCE has offered mutual assistance, and has released both contract electric crews and phone center representatives to help in the Irma restoration efforts and the overwhelming volume of customer calls due to the continuing outages. To date, some 60,000 workers from more than 250 investor-owned electric companies from across the U.S. and Canada are involved in the Irma restoration efforts. Although additional SCE crews and personnel have not been called upon for Irma and Harvey, they are on standby to provide additional resources if requested through emergency response partners. The Krylos are currently staying at a local Houston church — sleeping on air mattresses at night — while they use their own vacation time from work, but will head back to California early next week. As Kevin Krylo walks the streets of Houston and sees the devastation, he knows a major earthquake in California could result in similar destruction. And, although there is time to prepare before a hurricane hits, there will be little warning when there is a major earthquake. Edison employees can continue to contribute funds to the Edison International’s Relief Fund until Sept. 29. Donations for the hurricane victims can also be made through the American Red Cross and The Salvation Army.